Calm seas or stormy waters? Well, we are only three months into 2017 and, for a number of reasons, it’s already looking like a tumultuous year – calling to mind the ancient Chinese curse “may you live in interesting times”. Around the world, we are seeing dramatic political shifts. In Europe, Brexit has sent shockwaves through political establishments and, regardless of the final outcomes, we now face years of political uncertainty, and highly complex and no doubt emotive negotiations. Brokering a deal around fisheries will certainly be no exception, if past is prologue; only time will tell how access to waters, resources and markets will look in a divorce settlement with the EU. These changing times require new, adaptive ways of thinking about fisheries management. The Common Fisheries Policy (CFP) continues, of course, and we continue moving closer towards the full Landing Obligation coming into force in 2019. With this, pressure on Member States (and their fishermen) is building – with questions on how to tackle the most challenging issue of ‘choke’ species at the forefront of many people’s minds. This step-change policy has already thrown up some concerns over the rigidity of founding measures of the CFP; challenging the way quotas are being allocated in the face of changing fish stock distribution and fishing patterns. In parallel to this 2019 goal, we have the task of achieving Maximum Sustainable Yield (MSY) objectives by 2020. 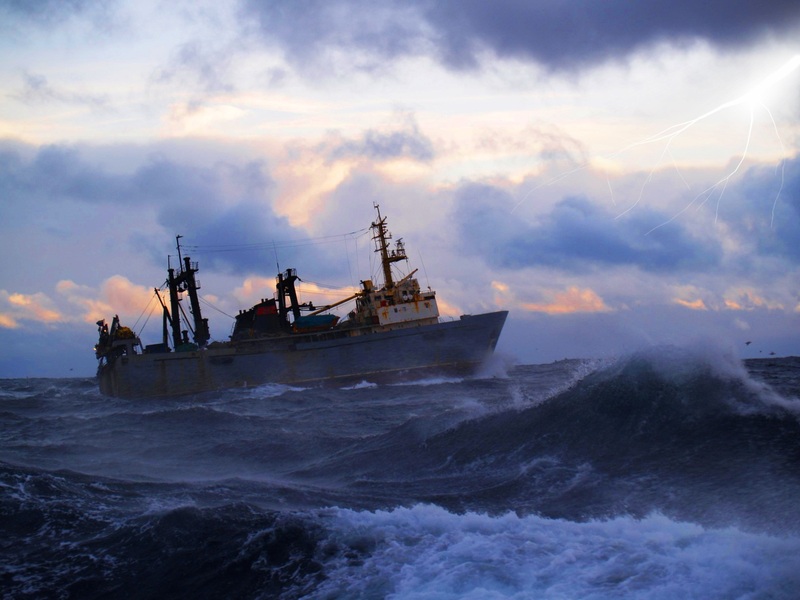 The delays in adopting a North Sea mixed fishery plan and a new technical measures framework will only add further complexity to the European picture. At the same time, a warming climate is causing changes to global ocean ecosystems at an unprecedented rate: triggering profound impacts on species distributions, with subsequent shifts in fishing patterns and preferences. Recent collaborative research between the Environmental Defense Fund, University of California Santa Barbara and Oregon State University shows that even though total global production of seafood may not be severely impacted by climate change, shifts in fish stock distribution at a regional level will be significant. Critically, the research findings underline that with effective management most fisheries could yield more fish and more prosperity, even with the challenging backdrop of a changing climate. In Europe, the effects of climate change on fisheries and marine ecosystems, is something that – like recent political shocks – we are hearing a lot more about. Recent shifts seen in commercially important pelagic species has resulted in conflict around quota allocation between coastal states responsible for management of these stocks. Dubbed ‘the herring and mackerel wars’, regional governance structures such as the Northeast Atlantic Fisheries Commission (NEAFC) were not able to overcome the unilateral decision-making of individual nations, putting into question the strength of these over-arching agreements in the face of intense competition for shifting stocks. When unilateral decisions are taken on quota, this does nothing for fish stocks, nor for the collective livelihoods of fishermen, which depend on collaborative governance of an interconnected ecosystem. With climate change expected to exacerbate future fluctuations in fish stock distributions, such governance challenges can only be expected to intensify. We therefore urgently need to absorb and harness relevant research and consider its application through a regional European lens. Applying sound analytics through a regional focus will aid in our prediction of future shifts in stocks, as well as help map out smart management responses to these challenging and complex issues. Comprehensive and inclusive discussions on how our ecosystems and fisheries will respond to management decisions in the coming years need to start now. We must find a way to absorb and balance the many systemic ‘shocks’ that fisheries may face in the near and distant future. It is critical that everyone contributes their knowledge to offer the best chance of a successful cooperative outcome. If we don’t get it right, the research points to the possibility that we may see widespread ‘fish wars’, a return to overfished and collapsed fish stocks, decimated marine ecosystems, and perhaps a squandering of a critical food and economic resource. Europe can lead the way, and lead by example: with the best available science and research at hand, and collaboration with all stakeholders, we can begin to explore adaptive options for regional fisheries management and develop meaningful solutions that provide a solid future for European fisheries in an ever-changing environment. Only by building resilient, adaptable management systems can we secure sustainable, prosperous fisheries and protect the livelihoods that depend on them, both now and well beyond our current ‘interesting times’. This entry was posted in Europe, International, Policy and tagged CFP, choke species, climate upside, Common Fisheries Policy, Fisheries Management. Bookmark the permalink. Both comments and trackbacks are currently closed.